The 1966 Jungle Emperor movie will be screened in Japan for the first time as a "barrier-free movie", which means that it will be suitable for persons with disabilities, because an audio guide and movie subtitles will also be provided. 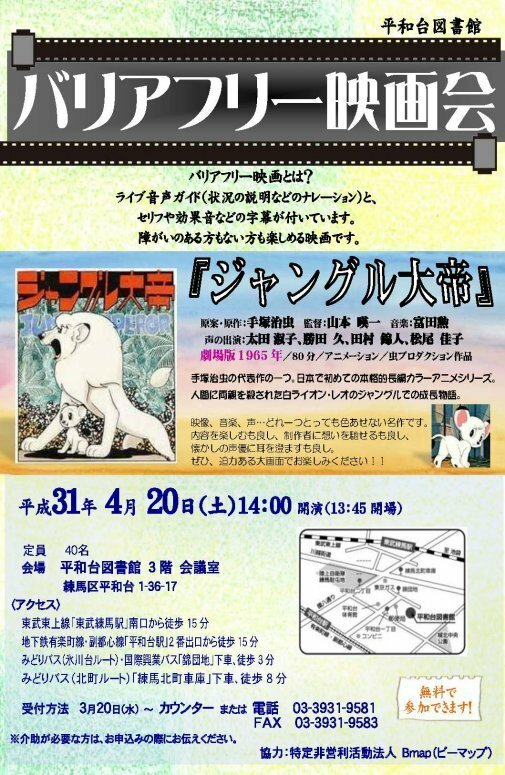 The screening will take place in Tokyo on April 20 at the Heiwadai Library (3rd floor), Nerima ward. The opening is at 1:45 PM and the screening start is at 2:00 PM. The screening is free, but there is space for only 40 people.